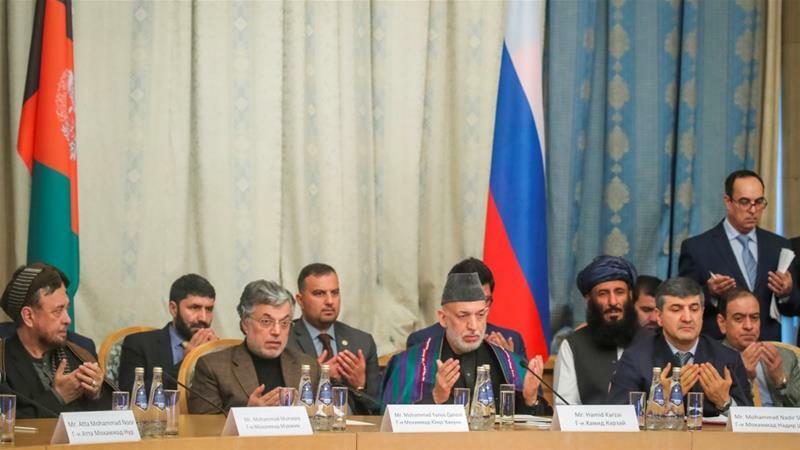 Taliban representatives and a number of Afghan politicians have arrived in Moscow to discuss the future of Afghanistan. Although, the two-day meeting has been said to bring the two sides of the 18 years long war to a negotiating table, the Russian foreign minister saying his country’s plan was to pave the way for an intra-Afghan peace talks in the war-suffered nation, however the Afghan government avoided participation to the event and emphasized on only Afghans-led and owned peace process. Earlier in the Arab country of Qatar, where peace talks were convened between the U.S. representative, Zalmay Khalilzad and the Taliban negotiators, the militants avoid meeting with the government sent officials. This means that they are not independent in their decision, particularly how to enter peace deal with the key side of negotiation, which is the government of Afghanistan. The Islamic Republic of Afghanistan has forever announced that it would continue keeping the door of peace open, but this should be honorable and welcomed by the entire Afghans. No government representative would attend Moscow peace as this is not a vis-a-vis negotiation between the two sides’ representatives. So, the meeting would never be in the interest of Afghanistan and the efforts for peace process. Moscow, which is also insisting on the pullout of the U.S. troops from Afghanistan has not also fulfilled its past pledge to facilitate direct talks between the government and Taliban representatives. Meantime, assertions like invalidation of the country’s national army, by the Taliban would never be accepted by any Afghans, as the country’s security forces are the inhabitants of tens of thousands of those sacrificed themselves for defending the country’s national sovereignty and territorial integrity. Afghanistan army are neither be annulled, reshaped nor replaced and they would be ready to defend both themselves and their country. On the other, if the U.S. wanted to pullout troops from Afghanistan, this doesn’t mean that the international community forgets the war-battered people. On the other, foreign troops have come to Afghanistan, under the resolution of the United Nations Security Council (UNSC), so they have to stay here until peace restored in Afghanistan. The people of Afghanistan are in dire need of peace, but the process should be real and practical and controlled by the Afghans. Moreover, any condition from any sides to annul the country’s national army or bypass the country’s legitimate system is negated. We don’t want peace, unless a process led, owned and managed by the Afghans.